At first glance, one would be forgiven to doubt that the small black chia seeds are considered super-foods around the globe. Chia seeds (Salvia hispanica) are in many health circles considered great healthy foods that are proven to be packed with a host of benefits that will guarantee you an overall healthier lifestyle. If you are looking at boosting your metabolism, pumping up your digestive health or want to nibble on some healthy acids, then these seeds are a sure choice. 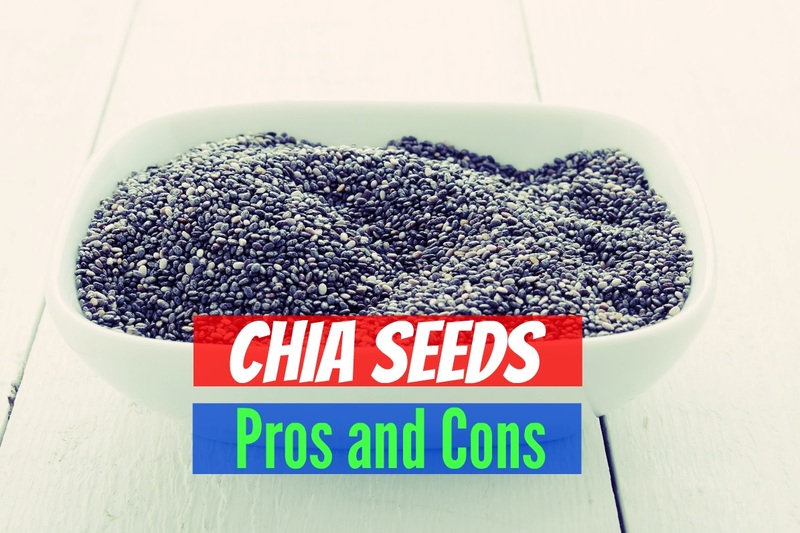 Tag along as we investigate pros and cons of chia seeds. Size none withstanding, these tiny seeds are packed with a great nutritional content with very few calories. They are rich in fiber, proteins, vitamins, fatty acids in the form of omega-3 fats and are an excellent source of fiber and essential minerals. Other nutrients include a fair amount of potassium, vitamin B1, vitamin B2, Vitamin B3, and zinc. And all this in just an ounce of chia seeds that also boasts of about 137 of calories. It is not in question as to why this power-seeds are considered the best source of various nutrients and a punch of calories. That is the main reason why chia seeds are sought after additions in many commercial products. Studies have proven that chia seeds are indeed beneficial and can tremendously improve your general health in many ways. Organically grown, chia seeds are a whole grain food that are brimming with plant-based protein. This sets them apart as an excellent choice for anyone keen on gaining lean muscle and burning fats while at the same time balancing the level of blood sugar. Packed with antioxidants and minerals such as manganese, calcium, magnesium, copper, zinc, niacin and iron, these seeds are a sure food for those actively exercising. The antioxidants will quickly replace any lost nutrients as a result of exercising. Chia seeds will make you feel fuller for longer, reducing cravings for sugar and lowering the absorption and retention of calories in your body. Furthermore, if you are looking at getting in shape, then a constant chia seeds diet will assure a fair amount of zinc that will increase leptin, a hormone that controls appetite. Your body will hence optimally expend energy and lead to improved stamina and endurance. As earlier noted, chia seeds are a good source of calcium. Lack of calcium will lead to weaker bones and even a weaker dental formula. Taking chia seeds will ensure you have stronger bones, as they have the recommended daily amount of 18% of calcium. This is higher in comparison with many dairy products. (2) This means that if you do not eat dairy, chia seeds have you sorted. 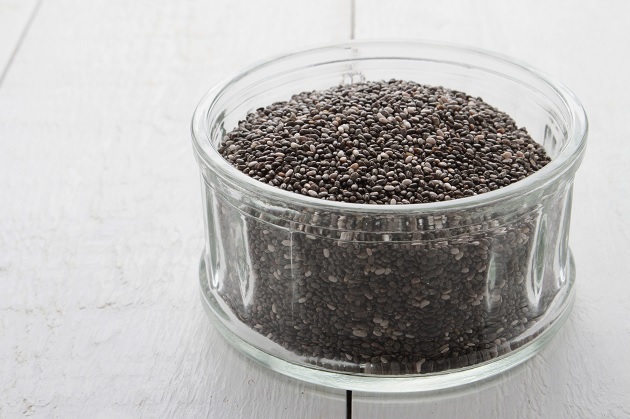 The calcium, phosphorus, vitamin A, and Zinc found in chia seeds will help you have a strong dental formula. The building block of a healthy gum is calcium and zinc has an antibacterial effect that will ensure that your breath is fresh. A serving of chia seeds a day will boost your metabolism and pump up your energy. It will also help in burning belly fat by reducing the deposition of the visceral adipose tissue, a tissue associated with belly fat. And all this without any of the unhealthy sugars. The seeds can easily absorb up to 10-15 times their weight in the water leading to a prolonged hydration in the body. (4) This is good for metabolism and digestion especially during workouts as it will enhance nutrient absorption of electrolytes. The omega-3 fatty acids found in chia seeds have been proven to contain alpha lipoic acid (ALA) that limits the growth of the cancerous cells that result in breast and cervical cancer. However, more research needs to be conducted to ascertain the effect of omega-3 fatty acid on other types of cancer. This is due to the fact that chia seeds are rich in alpha-linolenic acid and a good amount of fiber which causes resistance to insulin and excess fat in the blood, hence controlling diabetes. This seeds can as well control cholesterol level, reverse oxidative stress and even reverse inflammation. Someone consuming these seeds is less likely to develop atherosclerosis, a condition of the heart that is as a result of clogged arteries due to a build-up of fatty substances and cholesterol. The omega-3 fats in the chia seeds are the essential components that contribute to lowering your cholesterol, blood pressure and even inflammation which can badly strain the blood vessels, leading to heart diseases. Eating chia seeds might greatly help you keep your heart in shape and protect you from the many heart conditions. One ounce of chia seeds will give you a whopping 11 grams of fiber. (1) This is about 2 tablespoons of chia seeds which will translate into the recommended daily intake of fiber. For your body to balance its insulin levels, fiber is essential. Seeds such as flax and chia can naturally balance your blood sugar as they contain a higher content of fiber and healthy fats such omega-3s. Chia seeds as compared to flax seeds, are easier to digest and will typically not need to be grounded. This sets the digestive process up and running quite smoothly. The dietary fiber in chia seeds will as well regulate your bowel and contribute to a healthy stool. Many people suffer from minor digestive complications such as bloating, gas, and constipation. These conditions although not life-threatening cause discomfort in lifestyle and well-being. These symptoms are associated with low or reduced probiotics, which are beneficial organisms that enhance proper functioning of the intestinal inner lining. Chia seeds when consumed will form a gelatin-like substance in the lining of the stomach which work as a prebiotic that will enhance their growth in the gut. This about 14% by weight which is considerably high in comparison with other plants.The good balance of the essential amino acids found in chia seeds greatly ensures that the proteins therein are utilized. Proteins have very many health benefits to our body, key among them being an agent for weight loss. People who consume a higher amount of proteins will feel less hungry as it reduces the appetite for food by almost 60%. Combined with the high amount of fiber, chia seeds will ensure you remain fuller for longer. This also serves as the best super-food for vegetarians or people who do not take animal products or who eat in moderation. There are very few if any known cons of consuming chia seeds. The only notable one being stomach discomfort in some people. (7) This, however, happens when one consumes in large amounts as they have a high fiber content. 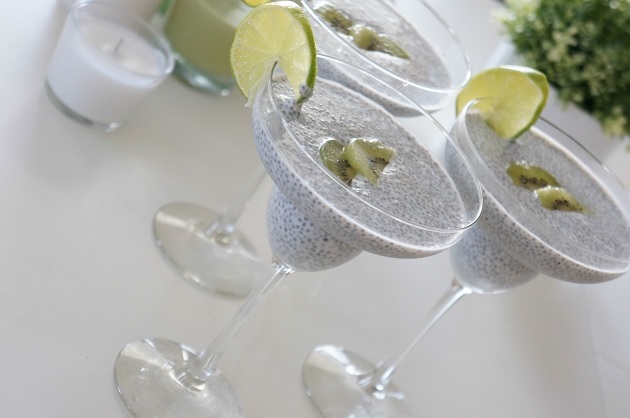 There are numerous recipes for chia seeds from chia pudding to adding the seeds in eggs, smoothies, baked bars and goods and many more. Chia seeds are a wonder super-food that have immense benefits to the body. Packed with all these nutrients, these small black seeds should be on your diet regularly. Be sure to start consuming in smaller amounts, soak chia seeds before you eat them and stick to drinking a lot of water. The recommended daily serving is 2 tablespoons of dried chia seeds. 4 Best Egg Substitutes For a Meatloaf Your Family Will Enjoy! Green vs Black Tea – Is One Healthier Than the Other?